Well, it’s officially HOPE Week, my favorite week of the entire baseball season. 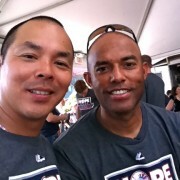 The above photograph is of myself and the great Mariano Rivera at HOPE Week 2011. For an entire week, the Yankees honor a person or organization that could use their help. HOPE is an acronym for Helping Others Persevere and Excel. Every season, Yankee players volunteer their time and after helping out, most players agree that they benefitted more than the recipient. But the Yankees don’t know the secret…yet. Recently, I taught a class at Whole Food Princeton’s Wellness Club entitled, “The Art of Happiness: Mental Wellness 101.” I told the class that one of the things that makes me happy is to make others happy. The truth is, when I do something nice for someone else, my thoughts and feelings change to ones of compassion, love, and gratitude so it’s not the act, but the thoughts. The same will happen for the Yankees this week. This week, I also will be donating my time and educating people on how peak performance occurs on the inside (thoughts), not the outside (strategy). Volunteering and helping others is great, but remember it’s your new thoughts that change your feelings, not the kind act itself. In fact, let’s try a little experiment this week. Wherever you are in the world, I challenge you to do an act of kindness every day this week. I have donated my time with the Special Olympics, Boys and Girls Club of Trenton, Mercer County Juvenile Detention Center, United States Tennis Association, and other great organizations, but this week I’m going to step up my game as well. Your contribution this week could be complimenting a stranger on the street, helping someone with their stroller up the steps, or reading to the blind. As you do these things, see if you notice a change in your thoughts and/or feelings. You may or you may not, depending on your state of mind at the moment. But that’s not the point. Do good things because you want to, not because of how you think they may make you feel. 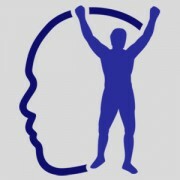 I will be posting updates this week on this site, as well as on Facebook, LinkedIn and Twitter. I would love to hear your random acts of kindness as well. Leave your comments below or on the social media mentioned above. On Tuesday, I was honored to be one of the people honored by the New York Yankees as part of HOPE Week. For approximately five years, I have been a mentor for Tuesday’s Children, a wonderful organization which began helping children who lost a parent in 9/11. I became a volunteer mentor because I wanted to make a difference in a child’s life. It turned out to be the opposite – a child has made a difference in my life. I have a feeling this week, the Yankees have a similar attitude. This amazing day consisted of mentors and mentees attending a beach party at South Street Seaport…with the New York Yankees. Highlights included lunch, ping pong, a water balloon fight, photos, autographs, a water taxi ride, a private Yankee Stadium tour, on field for batting practice…all with the Yankees. 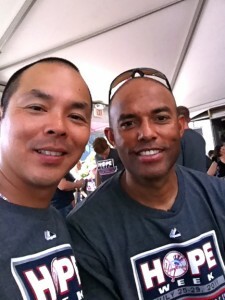 To the Yankees, HOPE stands for: Helping Others Persevere and Excel. This is their way of giving back, but like the volunteer that I am, the Yankees reap the benefits of their charity. All of the players I spoke to felt that HOPE Week is one of their favorite weeks of the year, and it puts everything into perspective. Even though I was one of the honorees, I was thinking about you (yes you) and how I could help you persevere and excel. Mariano Rivera doesn’t focus on results, he focuses on the process. I asked him what he thinks about when he pitches. His answer? 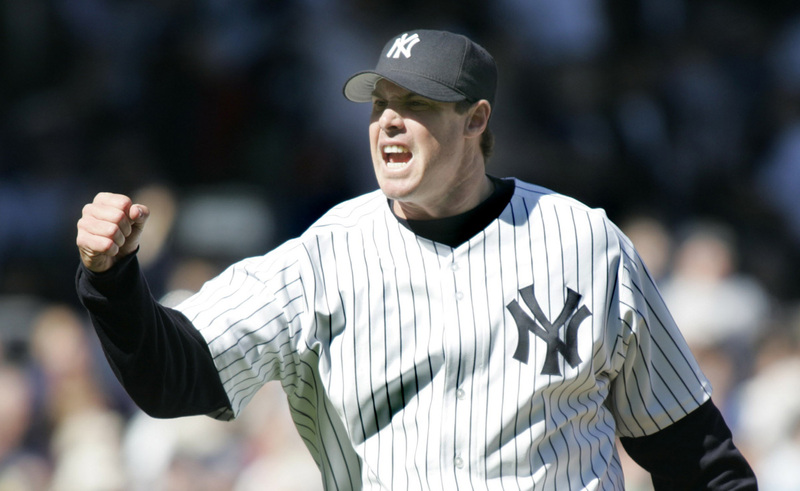 You don’t have to be the best closer in the history of baseball to have the mindset of a champion. Stay positive, and focus on the process instead of the results and you too can reach peak performance. 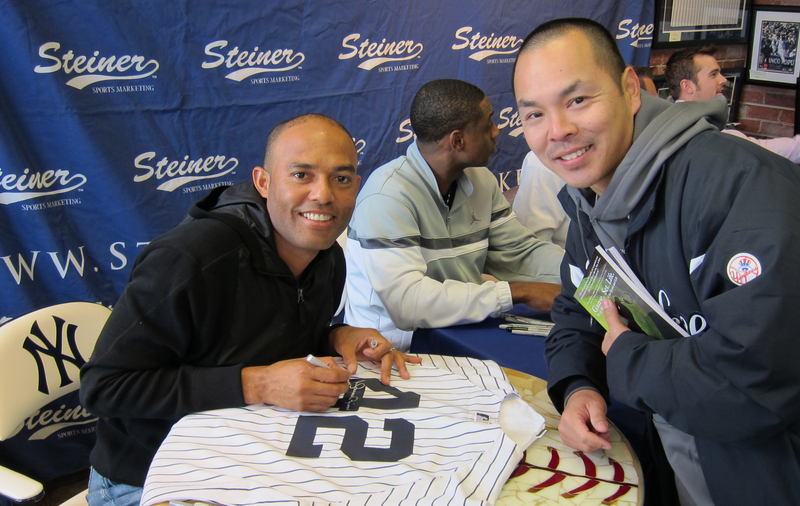 Today I had the fortunate opportunity to meet one of the most mentally tough athletes in history, Mariano Rivera, closer, New York Yankees. 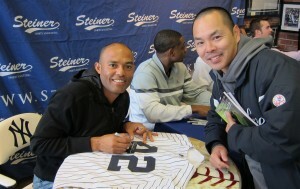 Teammates have said that Mariano is very humble and is the same person that he was when he played in the minor leagues. I could believe that. He was such a pleasure to speak to and had such a great positive energy about him. Rivera told me today that during pressure situations, you need to keep your composure. How does Rivera do it? He focuses on the catcher’s mitt. He acknowledges the pressure, then gets to work. You may not have Mariano Rivera’s cut fastball, but you can have the same mindset and focus as him. Many times we worry about winning and losing, the economy, the weather, our opponents, but we can’t control those things. So why worry about them? That’s wasted energy. Be like Mariano and focus on the things you can control like your effort, attitude, energy and reactions. You might not be the best closer in major league history, but you can have the same attitude and mindset as him. Well, it’s one of my favorite times of year again – the Major League Baseball Postseason. And my New York Yankees are looking to win their first World Series ring since 2000. 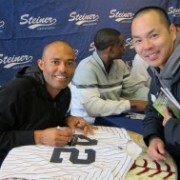 I just finished reading the most recent Sports Illustrated article on Yankee closer, Mariano Rivera. I want you to be like Mo. He only throws one pitch. And he throws it well – better than anybody. 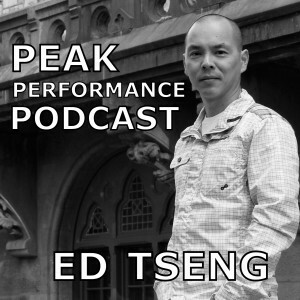 Would you like to be pretty good at many things, or would you like to be great at one thing? Only you can answer that. Mariano only throws one pitch. Well, he throws it 92% of the time. “You know what’s coming, but you know what’s coming in horror movies too. It still gets you,” says former Kansas City Royals first baseman, Mike Sweeney. And he does it under pressure. How? Focus. The right mindset. Nothing bothers him. Rivera is nearly 40 years old and his stats are better now, towards the end of his career. He takes it seriously because he knows one day he won’t be able to stand on that mound of dirt surrounded by the Merion Bluegrass. He doesn’t go out and party. He believes in taking care of himself. “I have bad games, but my confidence doesn’t change. Right after the game I will ask, ‘What happened?’ I go through the game. 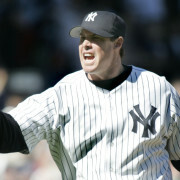 After that, it doesn’t hurt me at all,” says the Yankee closer. In September, when Rivera blew his first save since April 24, he walked out of the clubhouse enjoying a chocolate ice cream cone. Win as if you expect it and lose as if you enjoy it.